Volunteer Centre Salford are involved in a range of initiatives that support volunteering in the local community. Salford CVS and Inspiring Communities Together are working in partnership to develop and deliver a volunteering and older people`s project as part of the Salford Together initiative. The Volunteering and Older People Project aims to engage and involve older people to reduce isolation and improve quality of life. The project will develop a wide range of volunteering opportunities of relevance to older people, and will support voluntary and community groups to recruit and retain older people as volunteers. 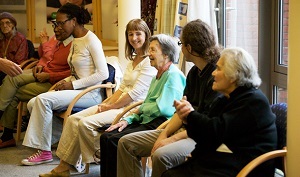 The project will also support volunteers of all ages for projects focusing on the needs of older people. 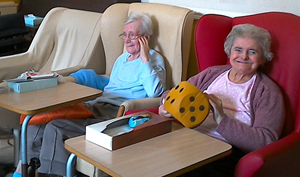 Find out more about the Volunteering and Older People Project. Salford CVS is working in partnership with Inspiring Communities Together, Salford Health Matters and Unlimited Potential to deliver this new project as part of Salford Together. The Health to Wellbeing project aims to support people in taking better care of their own wellbeing, and in staying healthy, happy and active for longer. It is particularly targeted at individuals who frequently access support from their GP for non-medical issues, including social isolation. Volunteer Wellbeing Champions in GP surgeries across Eccles and Irlam will engage people in conversations about their wellbeing, introducing the Salford Together Wellbeing Plans and signposting people to activities and other facilities in the local area. Wellbeing mentors will also be available for those that could benefit from a little more support. Find out more about the Health to Wellbeing Project. Volunteer Centre Salford in conjunction with Salford City Council have a register of volunteers who are able to assist at a Rest Centre in the event of any major incidences in Salford. 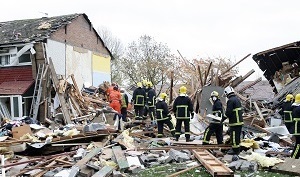 Find out more about the project and how to register as a major incident volunteer. Salford Pride in Practice was a partnership project delivered by LGBT Foundation and Salford CVS. Pride in Practice is a service for GP practices that aims to improve health outcomes for Lesbian, Gay and Bisexual people (LGB). It works to support all practices to enable them to meet the needs of their LGB patients. 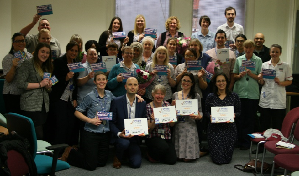 The Salford project ran for 12 months commencing April 2014 and offered opportunities to all Salford GP Practices to engage. Read the project highlights and evaluation report.